Discover how to market strategically and effectively to generate recurring revenue while building an enduring thought leader brand. Total Product Blueprint includes sample product outlines, webpage structures, campaign strategy, sales script outlines, and marketing emails so you can start now! Digital Subscriptions: Learn how to create and market your monthly subscription program where people pay you every month for more content! Includes the 4 MUSTS to implement your subscription program (and how to make the build-out process EASY); the tools and tech you need in order to create and deliver your program; exactly where to position and sell your subscription in your marketing strategy. It’s time to get your baseline revenue off the ground)! Online Courses: Brendon outlines the EXACT steps to follow to create each video and module of your online courses; the 4 marketing campaigns that work the best to sell courses; which messaging and copy strategies you need; and how to price your course to crush your sales! Coaching Programs: Learn why you should structure your coaching program into 12-sessions; how to create sessions that move the needle for clients to get breakthroughs; how to bring in new clients, especially if you are new; 6 ways to CLOSE on free coaching sessions; and why GROUP coaching is something you should put into play NOW! Live Broadcasts: Learn how to develop your livecast content to stand out in the marketplace and deliver excellence to your audience; which tech and gear we use for livecasts; how to easily go live with the devices you already have; and the marketing strategies for promoting livecasts that work now! Sales Webinars: Learn the new 20-point outline Brendon is using to create highly-lucrative webinars; HOW to get more registrations and conversions when selling on webinars and more! Masterminds: Learn the 5 major components that make up a Mastermind service; how to construct Mastermind events so that your members receive and contribute to the group (and experience true transformation! ); and the 9 major copy hacks for selling your Mastermind, including when you should sell, how to build into the sell, and how to structure your sales message! Social Monetization: Learn the best practices for running online campaigns on platforms like Facebook, Instagram and Youtube; learn the difference between typical campaigns vs. modern campaigns integrated with ads; and more! Learn how to take one piece of content and strategically create and market it to generate “circular viralocity.” You’ll cut your content creation time by more than half and get so much more mileage out of your hard work! Get Brendon’s hands-on training for using ads to grow your business beyond social media. Learn the how, what, and where strategy from a master trainer who has spent millions to figure this stuff out for you. With Brendon’s 10 day email sequence, you’ll literally get the same proven copy that has made Brendon’s the world’s highest-paid marketing trainer! Leverage his email templates it in a multitude of ways, without writing any copy yourself. Get access to our training program that gives you the step-by-step playbook for building your business and selling your content on Kajabi, without having to deal with complicated tech. 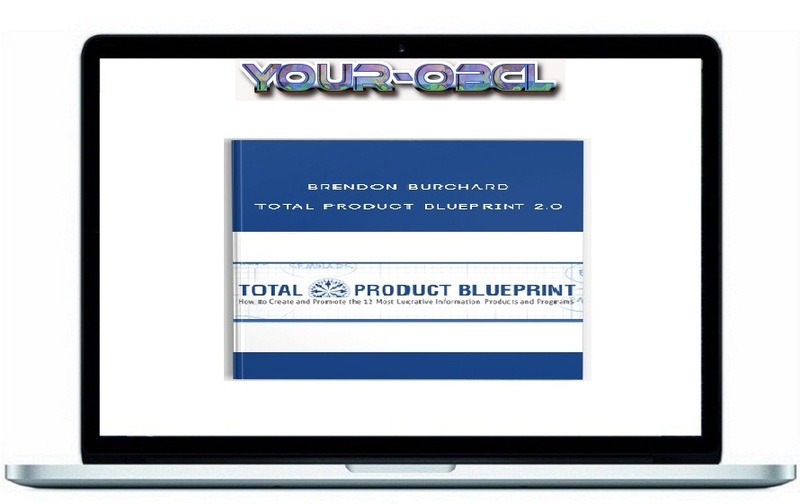 The EXACT templates Brendon Burchard used to start and eventually build his eight figure per year online business. You get his homepage template (we cloned it for you in Kajabi! ), optin templates, and value page templates.